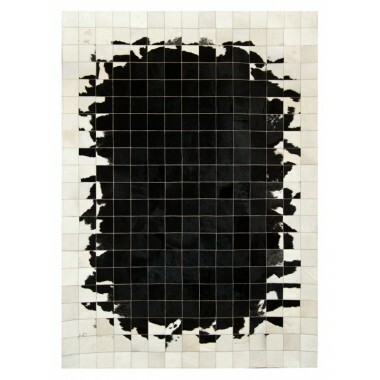 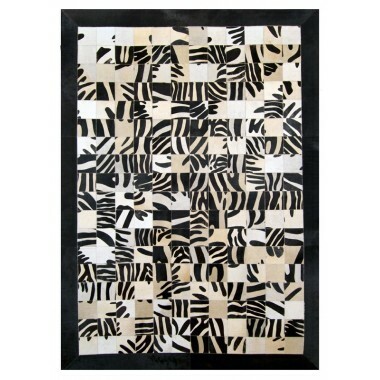 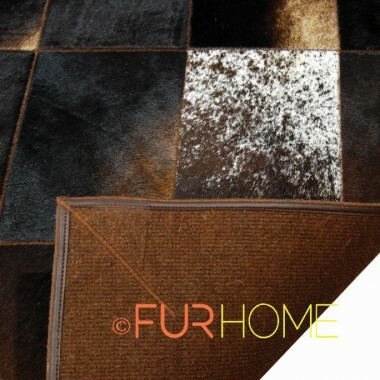 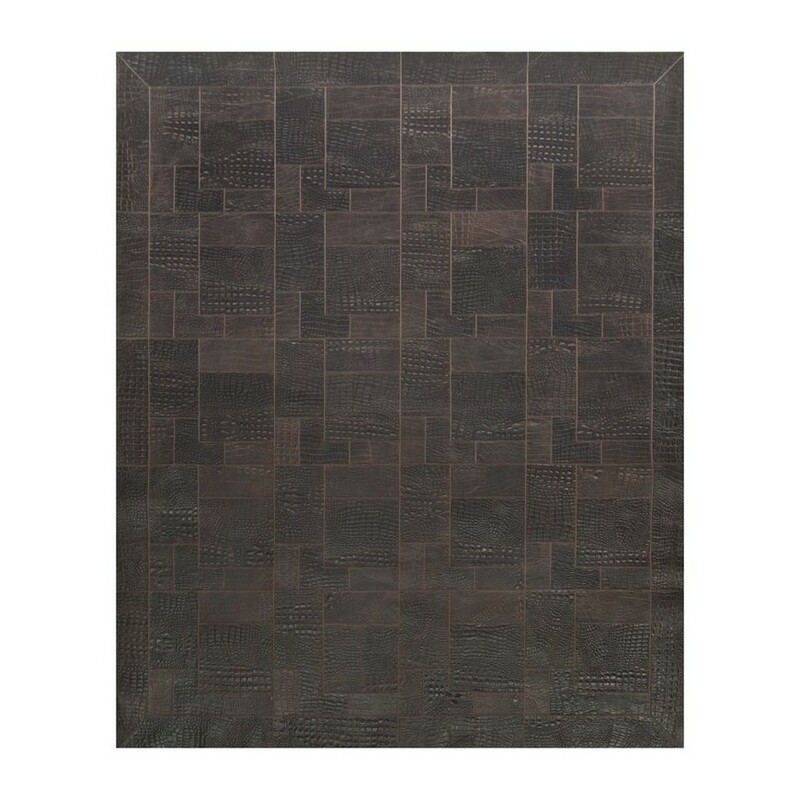 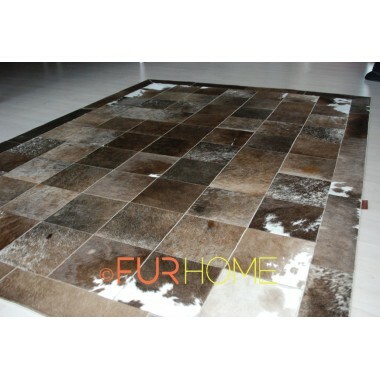 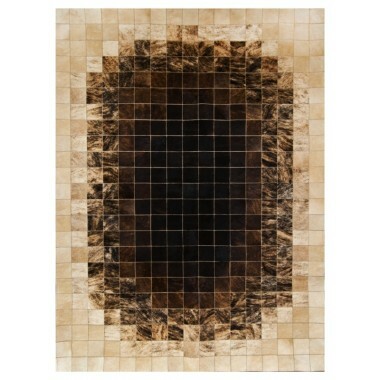 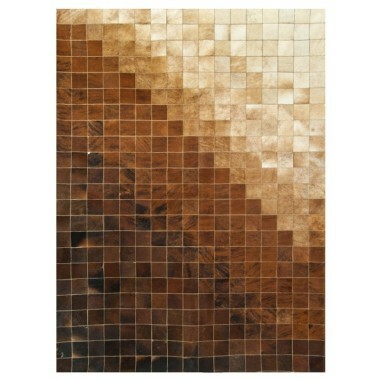 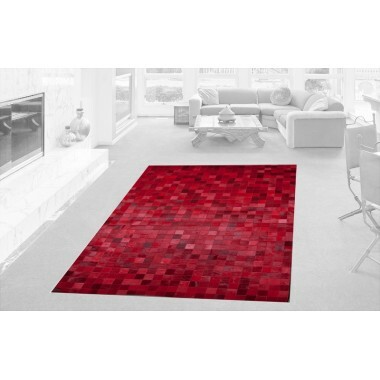 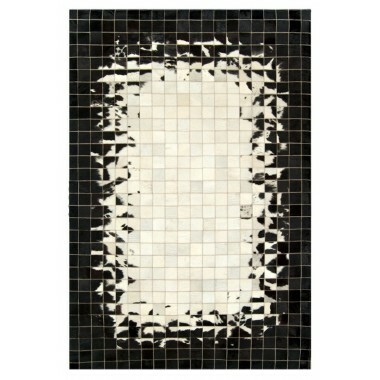 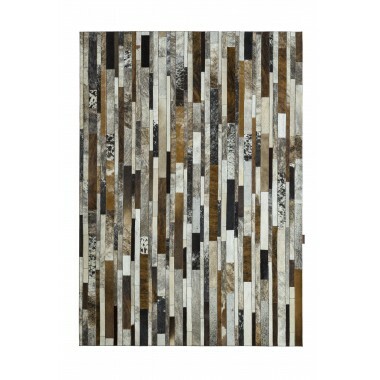 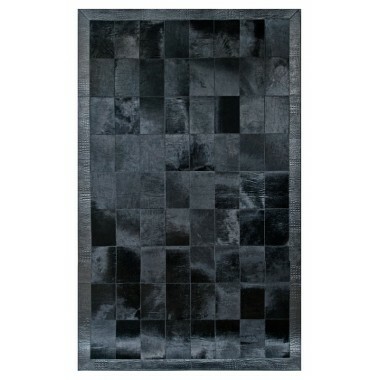 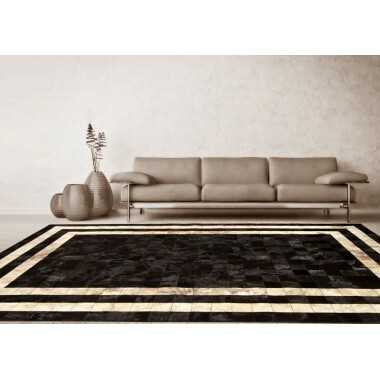 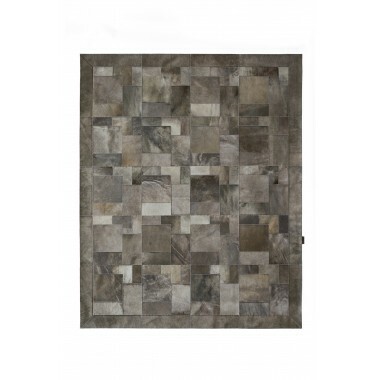 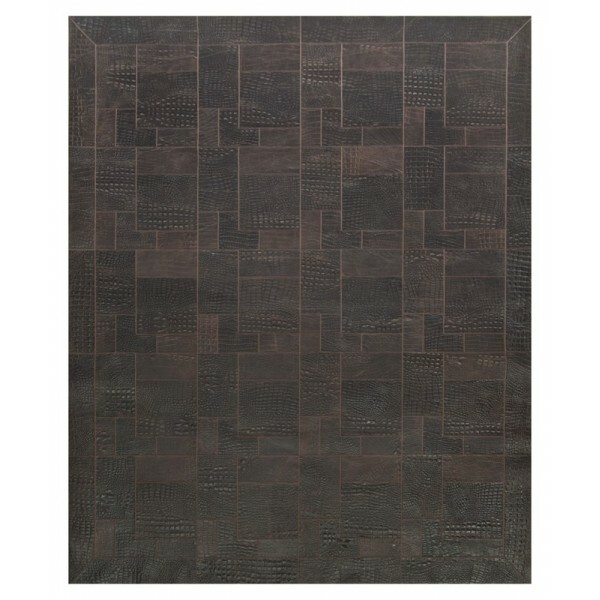 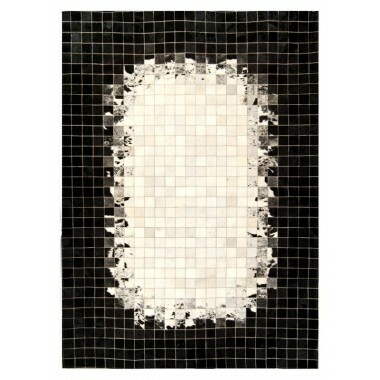 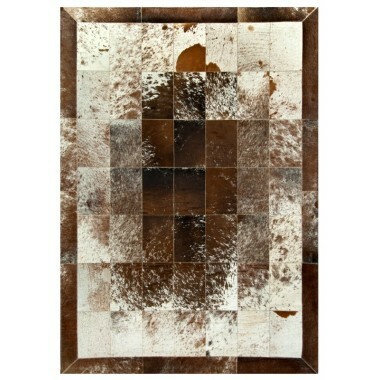 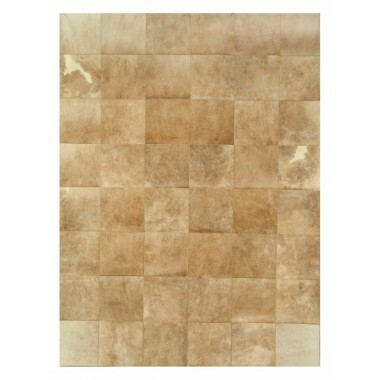 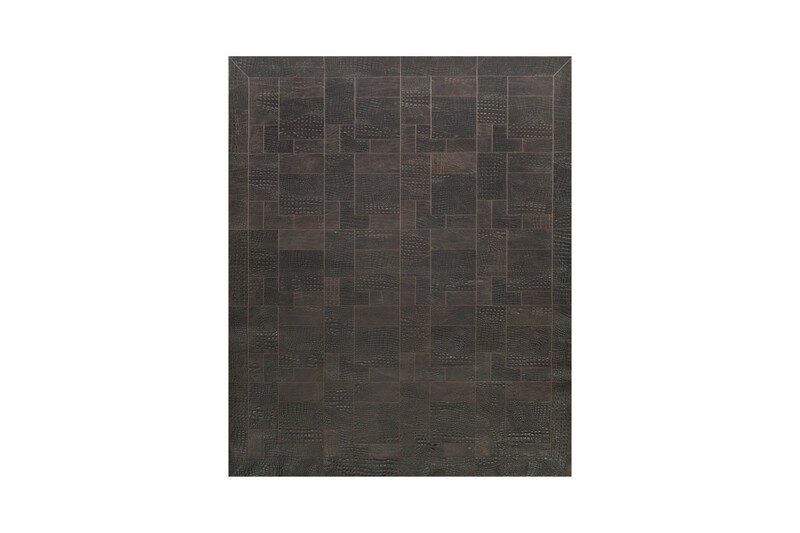 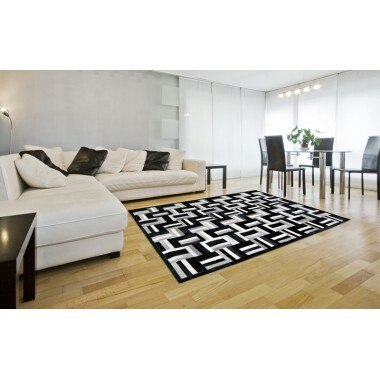 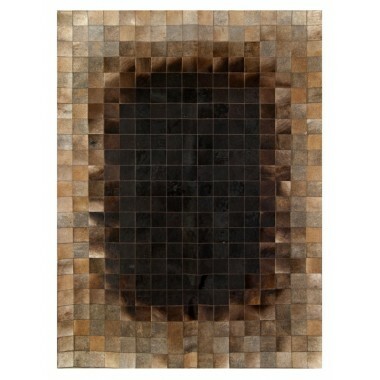 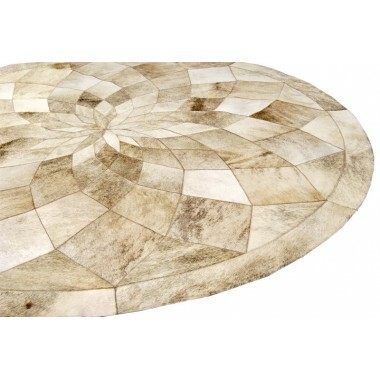 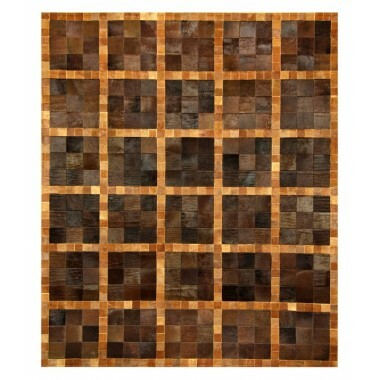 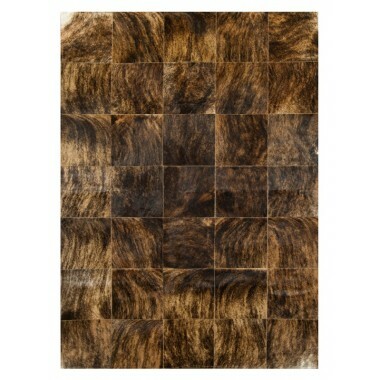 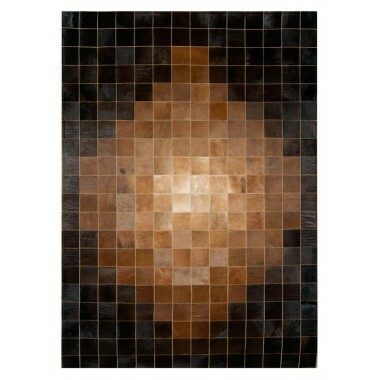 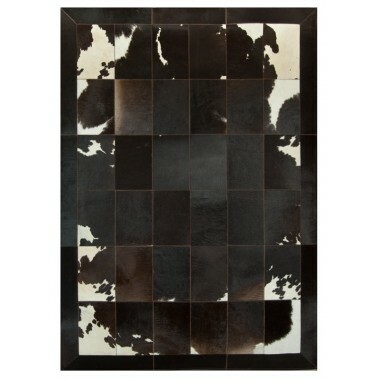 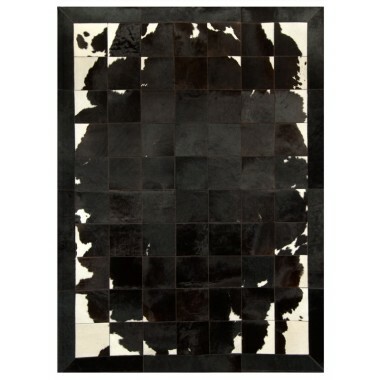 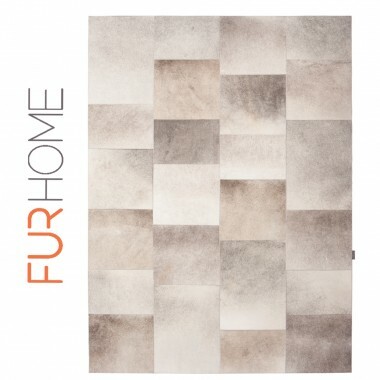 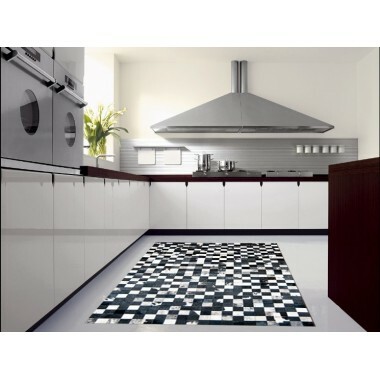 This is a luxurious cowhide leather rug from our curated collection. 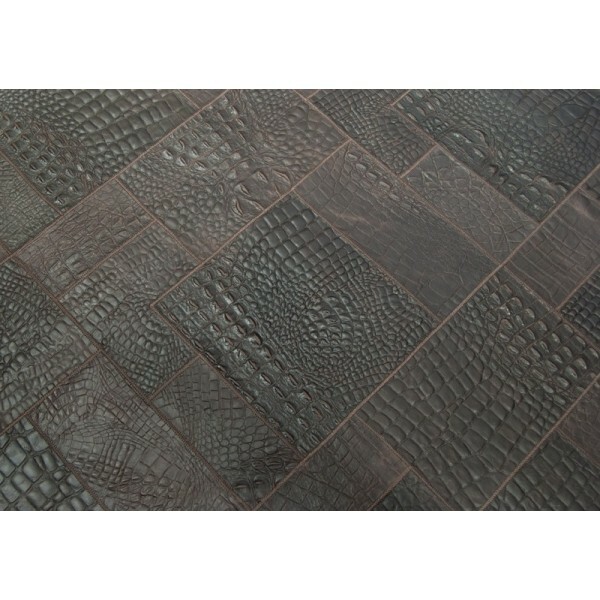 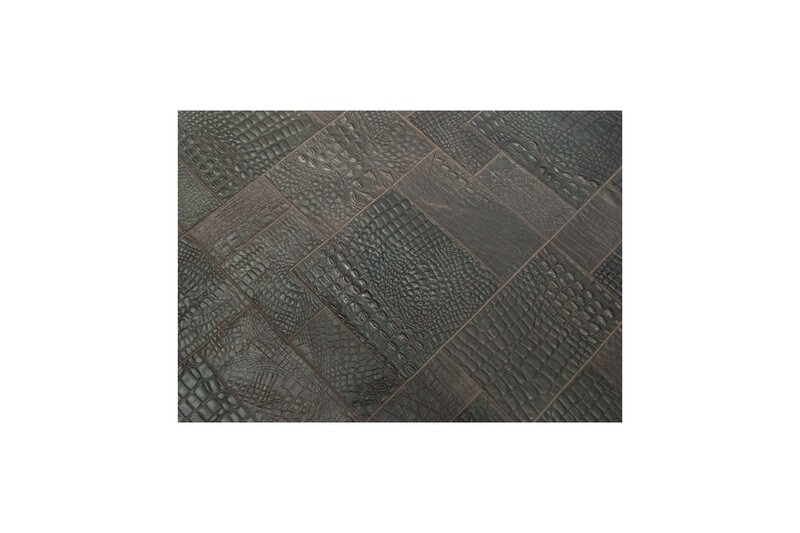 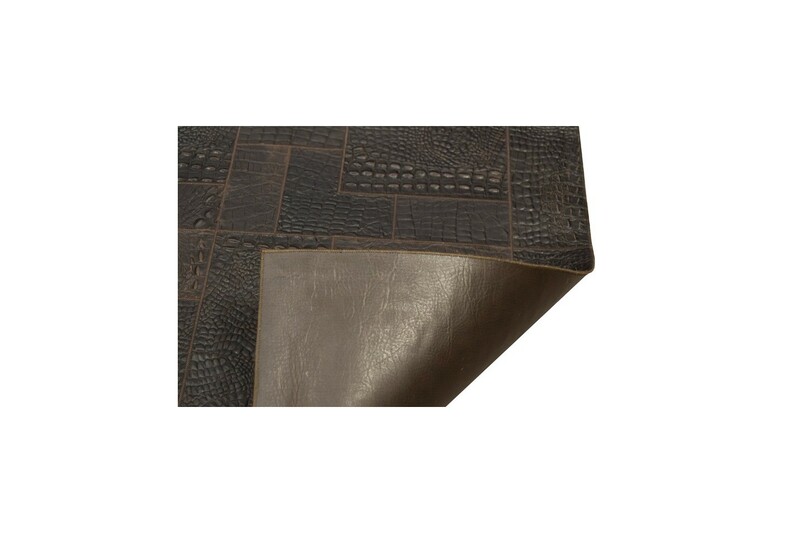 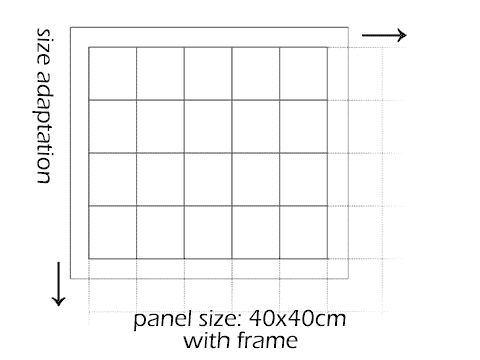 Dark chocolaty brown (or Testa di Moro as it's called in the fashion world) tiles of embossed croco-like leather, stitched together in a puzzle pattern and enclosed in a frame border of the same color shades. 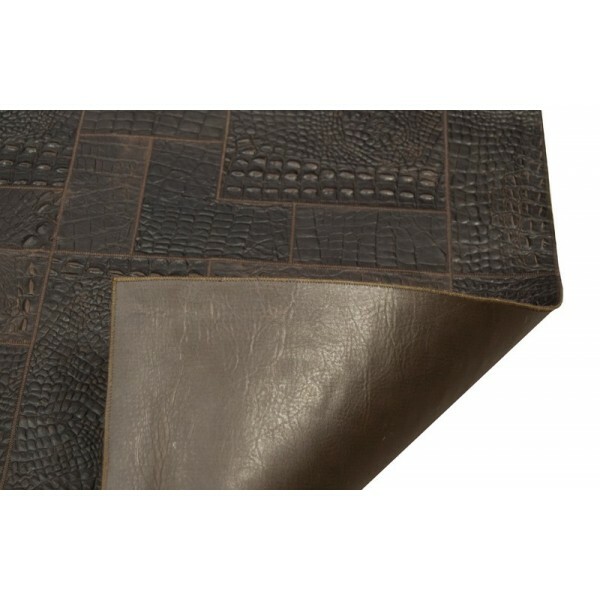 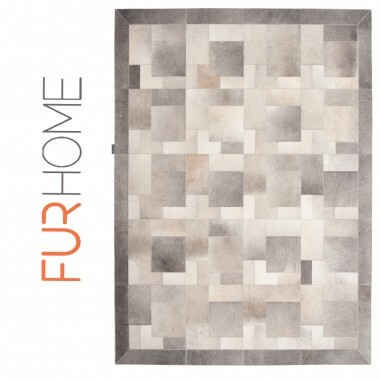 If you fancy the puzzle pattern but you find croc leather to be somewhat eccentric, you should take a look at this grey Elephant Puzzle rug, or the beige Cappuccino Puzzle rug.